Wildwood Falls is a great scenic spot with a dark-green pool, cliff walls, and waterfalls on the Row River. 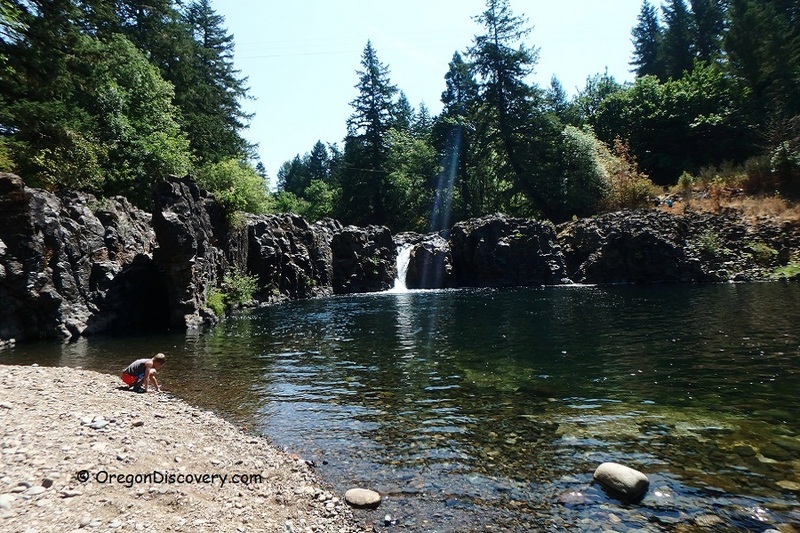 Located in the western foothills of the Umpqua National Forest known as Willamette Foothills, this large site is accessible from Wildwood Falls or LaSells Stewart Lane County Parks. 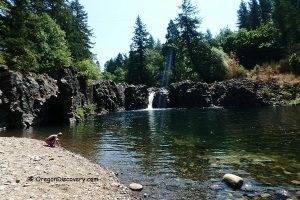 The wide 15-foot-high Wildwood Falls (known as River Row Falls) pour off a lava ridge through the channels into the deep large pool. 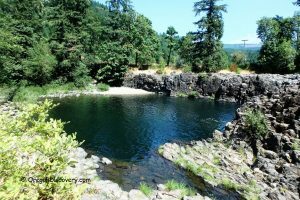 It is no shock that the main activities in this area are swimming, cliff jumping, scuba diving, rafting, and hiking. Spend a few hours relaxing here and you will realize how fast you’ll get hooked. Access to the swimming area from the Wildwood Falls Park requires some care. 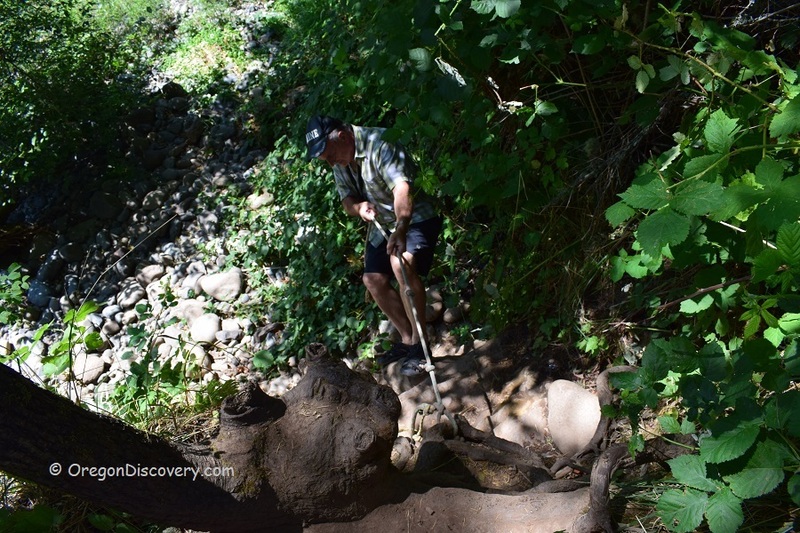 You need either to cross the stream above the waterfalls and climb down on the opposite side or use a rope access to go down because the slope in Wildwood Park is too steep. LaSells Stewart Park provides more easy access to the swimming area. The river bank consists of small boulders and river rocks. 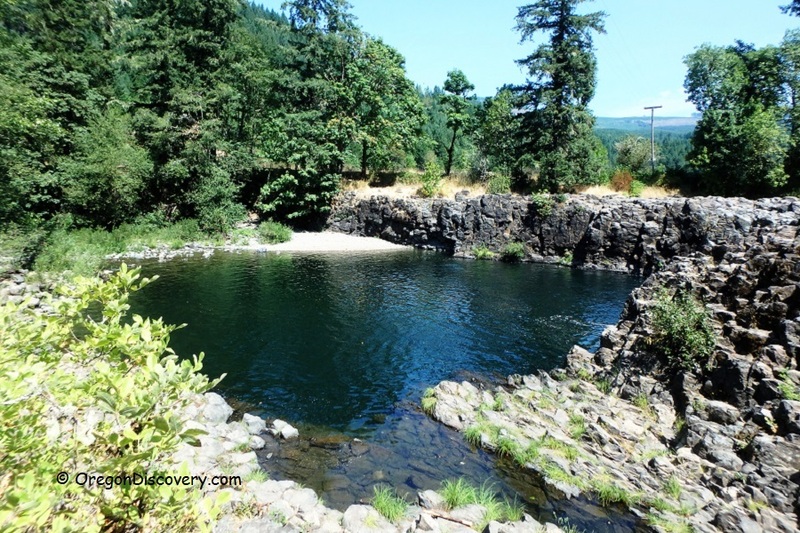 Cautions: Wildwood Falls is known as one of the best swimming holes. 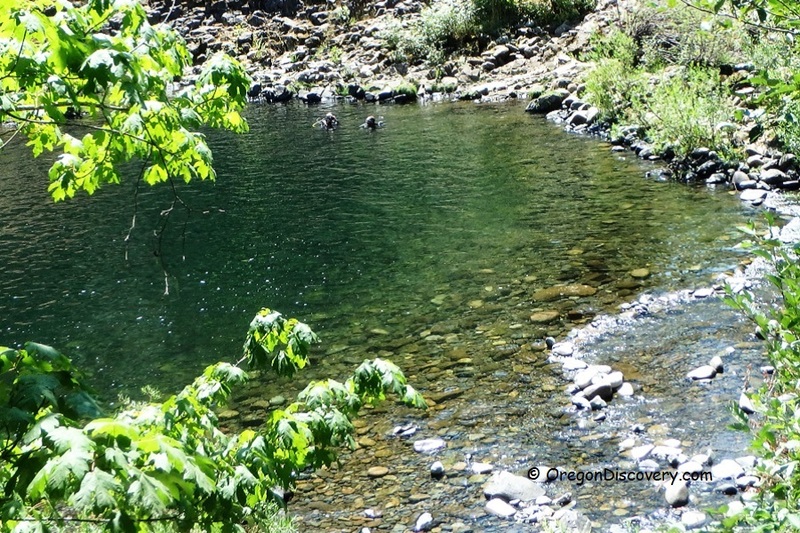 However, cliff jumping and swimming in this location is associated with risks and even death. 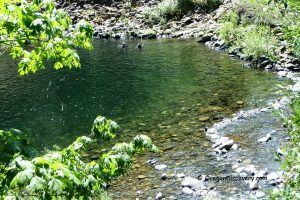 Do not swim when the water levels are potentially high. It is dangerous to swim directly below the falls because of the strong and violent falls' undercurrent. There is a small underwater cavern behind the waterfalls where you could be trapped and sucked. Wildwood Falls is also a great place for hiking. The loop trail is 0.1 miles long and is good for any skill levels. The terrain and trails enable you to hike and greatly have fun while at it. It is a really wonderful place to visit during the hot summers, where you get to blow off some steam and take that much needed and deserved a break. Spend at least one afternoon in Wildwood Falls just chilling in style and kicking it. 99 miles southeast of Salem. Continue 0.8 miles to Wildwood Falls Park on the right. Turn left after mileposts 17 and continue 0.2 miles to the parking area.